The drone’s rotors are arranged in AscTec’s patented V-formation, and the craft can reach speeds of up to 35 miles per hour — faster than most amateur drones. Its makers promise all sorts of features designed to appeal to professional pilots, including back-up batteries and communication systems built into the drone itself. 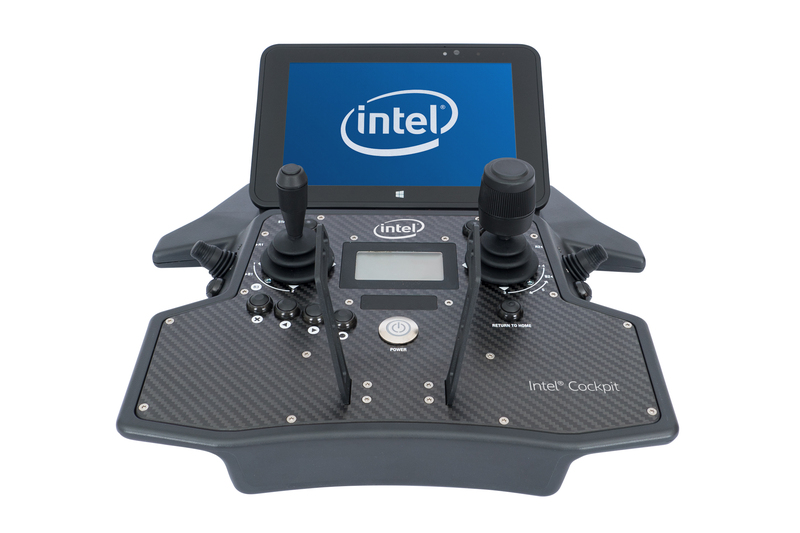 The system also ships with the Intel Cockpit, a weatherproof controller with twin joysticks and an integrated Intel tablet, with the whole system ready to fly right out of the box. This is just the latest data point in the story of Intel’s burgeoning drone hobby. The company acquired Ascending Technologies, a German manufacturer of commercial drones, back in January, and then later this year bought Movidius, a maker of specialized computer vision chips used by both quadcopters and Google’s Project Tango. Intel also manufactures its own chips and camera systems for drones based on its RealSense tecnhnology and is a major investor in Chinese dronemaker Yuneec, the primary rival of industry behemoth DJI. That’s certainly a varied list of interests, but as indicated by the Falcon 8+, it seems Intel is primarily focused on commercial applications. Unlike the hobbyist market, where DJI controls 70 percent of sales, the industrial sector is not yet dominated by any one company. DJI and Yuneec both make their own commercial drones, but so do bigger companies like Sony. 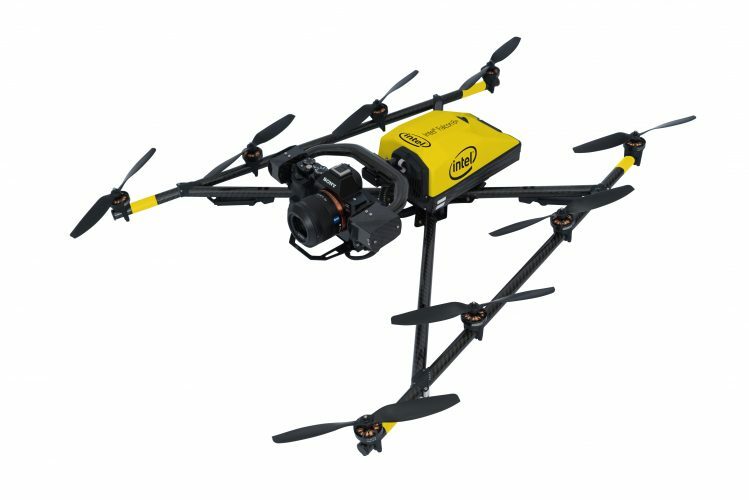 Just because it’s not going up against DJI, doesn’t mean Intel isn’t flying into some crowded skies.